Today we give you eight good reasons as to why we should all be thankful for Arnold Schwarzenegger. He's been making movies that we all love since 1982's Conan the Barbarian. The former Mr. Universe deserves quite a bit of appreciation for making all of our lives a little better because we can escape into his movies. 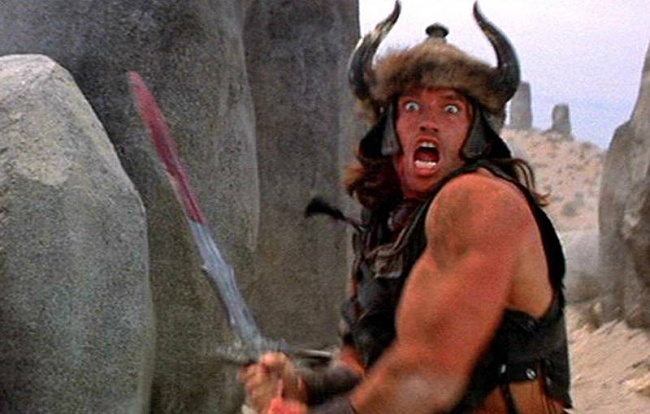 Arnold jumped into the mainstream spotlight with Conan the Barbarian. Before this he was in small roles in small movies and a television presence. Conan took him from obscurity and placed him firmly on the pedestal he so deserved.